I am often asked about how to get out of paying credit card debt. The fact of the matter is, you cannot get out of paying credit card debt altogether, but you can take steps to greatly reduce the total amount of credit card debt you owe with a credit card debt settlement. I will walk you through this process, give you tips on other ways to get credit card debt help, and let you know how it affects your credit score. When I am asked how to get out of credit card debt, my answer is that you can’t eliminate your credit card debt altogether. But you can negotiate with credit card companies to lower the overall amount you owe with a debt settlement. A debt settlement is a negotiation that the credit card borrower will pay back a usually greatly reduced amount of the total credit card debt that they owe in a lump sum or over an extended period of time. For example, our client owed Chase Bank over $20,000 in credit card debt. Chase hired MRS Associates to collect the debt from my client. I reached a debt settlement with MRS Associates and they agreed to accept just $7,500 of the total debt due. That was a savings of 64% of the total amount of credit card debt due. However, it’s not exactly that simple. In order to get to the point where a credit card company will negotiate with you, they need to understand that you simply can’t pay the full amount. In a debt settlement, you have stopped making payments on your credit card because you can no longer afford the payments. After 180 days of non-payment, you are considered delinquent in payment and your credit card account is “charged off”, meaning they no longer think they can collect your debt. However, this doesn’t mean you don’t still owe the debt and they most likely will sue you to collect it. This is the time to negotiate with credit card companies. The credit card companies would rather save money in costly court battles and get SOME of your credit card debt paid rather than have you declare bankruptcy and receive nothing. The biggest question I receive about debt settlements is “can you get out of credit card debt without it ruining your credit?” Yes, your credit score will decrease if you stop paying your credit cards and settle. The bottom line is that if you have already fallen behind on your credit card payments, then your credit score is already suffering. However, once you complete your debt settlement then your credit card account will be considered “paid in full” and your credit score will start to rise, and often it will rise fairly quickly. Completing a debt settlement to get out of credit card debt will increase your credit score far faster than spiraling further into credit card debt that you can’t pay. Trying to negotiate lower interest rates with your credit card company. Create a budget where you can pay off more in credit card debt each month. Pay off your high-interest rates credit cards first. Stop using your credit card while you pay it off and use a debit card instead. If the traditional methods don’t work and you still have high credit card debt, you might need to take bolder moves. Debt settlement is an option I use most often in my debt relief law firm, but you can also consolidate your debts to pay off credit card debt. A debt consolidation basically means you combine all of your debts into a new loan at an often-reduced interest rate. You can save money in debt consolidation if the new interest rate is less than the variable interest rates of your combined credit cards. However, the total debt that you owe will not decrease with a debt consolidation. Another way to get credit card relief is to negotiate with credit card companies to see if you qualify for a hardship program. If you have a long-term illness, a military deployment or a disability that prevents you from working – then you may be able to reach a new payment plan with your credit card company. For instance, our client owed Bank of America, $9,988.61 for credit card debt that accumulated over many years. She was self-employed and became pregnant with twins. Due to several complications with her pregnancy, her doctor placed her on bed rest, which significantly reduced her income. Bank of America eventually referred the account to the law firm of Suttell & Hammer, which threatened to sue our client if we could not resolve the account. After explaining our client’s hardships, Suttell & Hammer agreed to accept $4,750.00 to deem the account settled in full. We saved our client $5,238.61 (53%) of the total balance claimed due. You simply cannot stop paying your credit cards legally and expect no recourse. It is almost certain that you will be sued if you stop paying your credit card debts. There are plenty of “debt settlement companies” who will promise you they know how to get out of paying credit card debt. But to eliminate credit card legally, you have to play by the rules of law. You did borrow money and it is your legal obligation to pay it back. I recommend going to a credit card debt lawyer over a debt settlement company. View my video about reasons to hire a debt settlement lawyer to help you get out of debt without declaring bankruptcy. Lawyers have an ethical obligation under the law and must put the best interest of their clients first. Debt settlement companies have no such legal or ethical obligations. Plus, if you do get sued for credit card debt, then a debt defense attorney can represent you. If you need help with credit card debt, then give me a call at 858-217-5051 or email me at daniel@gamezlawfirm.com. If you aren’t located in my home state of California, I may still be able to help or can point you in the direction of someone in your state. I offer a FREE debt consultation to go over your debt situation and map out a way to your financial freedom. 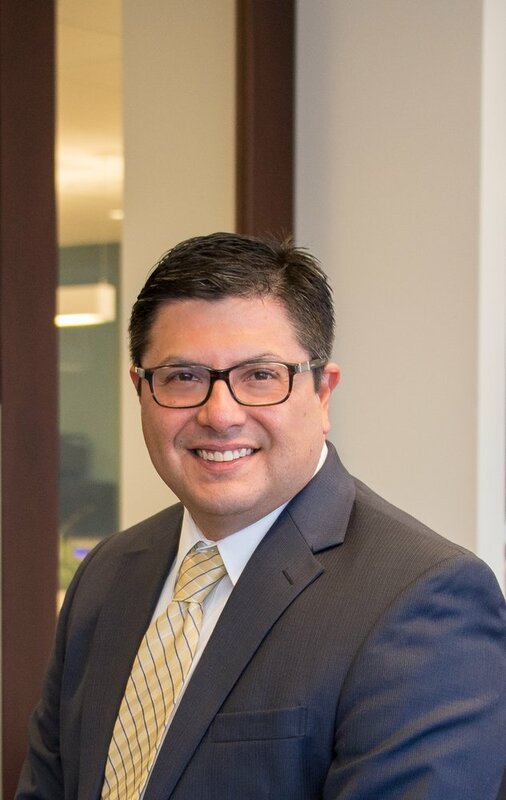 Daniel R. Gamez is an attorney serving clients nationwide and focuses exclusively in debt relief. He is licensed to practice in all state and federal courts in California and Texas. Mr. Gamez owns and operates the Gamez Law Firm in San Diego and Los Angeles, and helps people with debt problems all over the country. For more information, please contact Daniel Gamez at 858–217-5051, daniel@gamezlawfirm.com or use our online contact form. Stay updated about the latest debt relief tips by following on Facebook and Twitter and read about client success stories on our website.